ANGERMANAGEMENTEXPERT makes no representation or warranty of any kind (express, implied or statutory) in relation to this website or its content and ANGERMANAGEMENTEXPERT excludes (to the extent permitted by applicable law) all such warranties. To the extent permitted by law, ANGERMANAGEMENTEXPERT excludes all liability in contract, tort (including negligence) breach of statutory duty or otherwise for any costs, losses, claims, damages, expenses or proceedings (including special, incidental or consequential loss or damage, loss of profits and wasted management time) incurred or suffered by you arising directly or indirectly in connection with this website and its content including any loss, damage or expense arising from, but not limited to, any defect, error, imperfection, fault, mistake or inaccuracy with this website, its content or associated services or due to any unavailability of part or all of the website or any content or associated services. This website contains material submitted and created by third parties. ANGERMANAGEMENTEXPERT excludes all liability for any illegality arising from error, omission or inaccuracy in such material and ANGERMANAGEMENTEXPERT takes no responsibility for such material. This website also contains links to other websites which are not under the control of and are not maintained by ANGERMANAGEMENTEXPERT. ANGERMANAGEMENTEXPERT makes no warranty or representation as to the accuracy completeness or fitness for purpose of any material on these sites. ANGERMANAGEMENTEXPERT provides these links for your convenience and does not necessarily endorse the material on these sites. In the event you purchase or obtain goods or services from a third party then your acquisition of such goods or services will be in accordance with the third party's terms and conditions and ANGERMANAGEMENTEXPERT will have no liability to you in respect of the same. 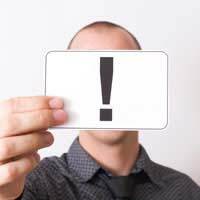 ANGERMANAGEMENTEXPERT does not represent or warrant (and excludes such representations and warranties to the extent permitted by law) that any e-mails from this website will be sent to you or received by ANGERMANAGEMENTEXPERT. Nor does ANGERMANAGEMENTEXPERT warrant the privacy and/or security of e-mails during internet transmission.